Ford's chief designer has admitted to AOL Cars that if he was at the top of the Blue Oval tree, the first car he'd put into production would be a replacement for the Capri. In an exclusive interview at the Paris Motor Show, Ford's chief designer Moray Callum – brother of Jaguar's celebrated design chief Ian Callum no less – revealed he's got plenty of sketches in his notebook of what a new Capri could look like. Although he wouldn't share them with us, despite our pleading, it was still clear from the way Callum spoke that a Capri was very much at the forefront of his and his designers' minds: "The first-generation Capri is one of my favourite cars we've ever made," said Callum. "One of my teachers had one of those cars when it first came out and it made an impression – it's the European Mustang in my mind. If I had a pound for every time I'd been asked if a Capri would fit in the line-up, I'd be very rich indeed! In my mind there's always room for cars in our line-up, but a Capri just doesn't fit into the product plan at the moment. "There is certainly a design for one in my sketchbook and probably in all our designers' sketchbooks too. It was a very iconic car and I think it did a lot for the Ford brand as well. 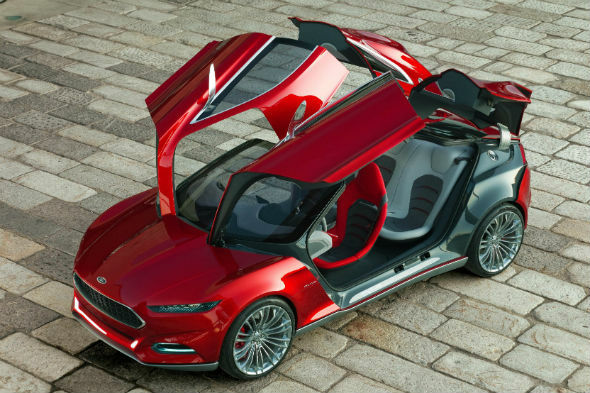 It's the one car I would put into production if I was the boss of Ford – but they'll hate me for saying that." For now Ford buyers will have to 'make do' with the Mustang, a right-hand-drive version of which will be on sale for the first time in the UK next year.